Love is a force that makes you float on the clouds and perform feats. It is a muse for poets, artists, composers, and writers. At all times, there were enthusiasts who built houses, palaces, and castles for their loved ones in order to give them pleasure, draw their attention, or perpetuate the names of beloved women. Even those who do not believe in love will still appreciate buildings built in the name of love. In Florida, there is a very curious place. It looks more like a sculpture park, but it is called Coral Castle. It was created at the beginning of the 20th century by the Latvian immigrant Edward Lindskalnin. There are statues hewn from stone blocks, the total weight of which is estimated at 1000 tons. It is still a mystery how slim Lindskalnin could hew and drag so heavy stone blocks alone. He lived in solitude, worked at night, and for 21 years, no one has seen him working. Edward dedicated the construction to the ex-girlfriend who left him on the eve of the wedding. But the girl did not even come to look at the gift. 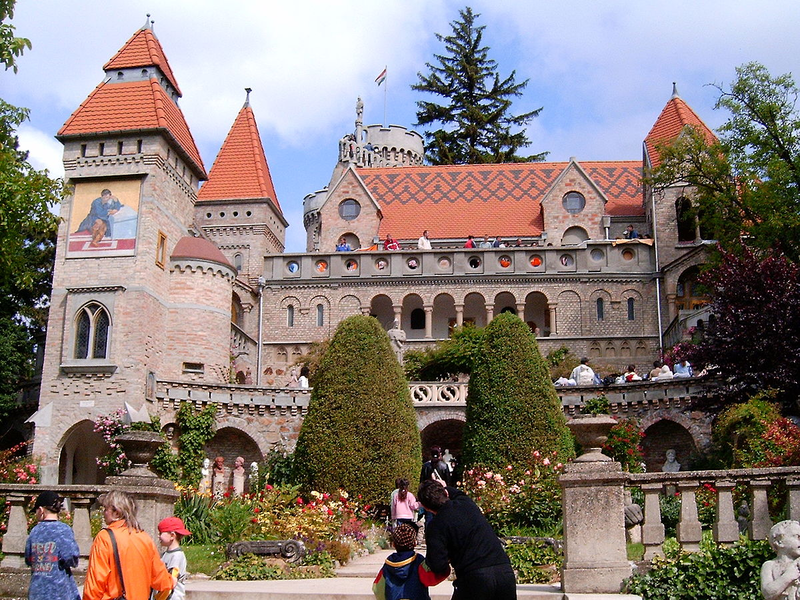 In the Hungarian city of Szekesfehervar, there is a castle built by the architect Jeno Bory. It was created in honor of his beloved wife Ilyna; her image can be found everywhere in the castle. Bory had been building the castle for more than 40 years. Having completed the construction, the architect died. Ilona and her family lived in the castle for another 15 years. Taj Mahal is one of the pearls of world architecture. Its emergence is a story of unfailing love of Shah Jahan for his wife named Mumtaz Mahal. She gave birth to 14 children – eight boys and six girls. But during the last parturition, she died. The sorrow of Shah Jahan was so great that he announced 2-year mourning, lost the meaning of life, and even thought about committing suicide. Over the grave of his wife, Shah Jahan built a beautiful palace. Taj Mahal is not just a wonder of the world – it is a symbol of the eternal love of two people. Do you want to find such love? Ukrainian ladies know a lot about this feeling. The building with poorhouse and hospital was built on the initiative of the Sheremetev’s wife, Praskovya Zhemchugova. Nikolai loved the actress very much and married her despite all the condemnations. The countess was not only beautiful but also kind: she constantly helped the needy and donated money to charity. Praskovya got sick and died in 1803. Sheremetev decided that this building would become a monument to his wife; therefore, he completed its construction. The immigrant from Germany started his career by working as a dishwasher. Once, George Boldt met the manager of one of the popular clubs, began working as his deputy, and then married his daughter. After some time, George bought an island in the shape of a heart where he began to build a castle for his loved one. But, unfortunately, she died before the end of construction. Boldt stopped building, and the castle was in desolation until it became the property of the state. Moussa Abdel Karim Al-Maamari was the only person who built the castle. He spent 60 years to bring the dream of his childhood into life. The girl, whom Moussa was in love with, told him that she would marry someone who had a castle. Therefore, the construction of the castle began in 1962. Every stone in the building is unique and exclusive, as it was fostered by a master. The teenager in love, Roberto Rivera, promised his sweetheart that one day, he would build for them a house that would resemble a flashing UFO from the films they watched in the local cinema. But, after three months of the relationship, she left Roberto. After graduating from the university, Rivera fulfilled his promise and built an unusual house to show his former loved one what she had lost, breaking up with him. Rivera intentionally chose a hillside, so the girl constantly saw the UFO house. After a while, she came to visit him and tried to fix their relations, but she didn’t succeed: Rivera lives in the “flying saucer” happily with his wife, Maria. King Henry II had a sweetheart named Diane de Poitiers; their age difference was almost 20 years. Heinrich was fascinated by the maturity and experience of his mistress and gave her a huge and luxurious castle. Now, it is one of the most beloved and visited castles of France. Casa Loma (which means House on the Hill) is a Gothic castle built by Henry Mill Pellat for his wife, Mary. He spent 65 million dollars on its construction. This is the largest private property in Canada. 300 people took part in the construction of Casa Loma. It has 98 rooms and three floors. Around the building, there is a beautiful garden of 2 hectares. Today, the castle has become a popular tourist attraction. Chester Thorne built this castle for his wife Anna, with whom he had lived for 20 years. The bricks for construction were taken from the destroyed building, dating from the 15th century. Thornewood is the castle of gardens, and today, many charming wedding ceremonies are held there.